A conservative radio host whom President Donald Trump has credited with being instrumental to his upset victory claims he was assaulted outside a California restaurant Tuesday night, The Daily Mail reports. The heckler was apparently referring to Savage’s legal name, Michael Alan Weiner. 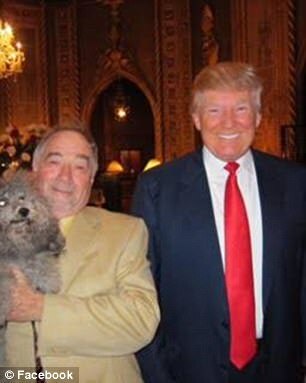 ‘Godfather of Trumpmania’: Radio talk show host Michael Savage, who is known as a staunch support of Donald Trump (pictured together, left), claims he was assaulted at a California restaurant Tuesday night. 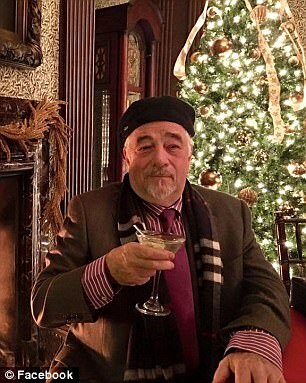 As Savage was heading out the door, the verbal abuse allegedly turned physical when the jeerer knocked the septuagenarian to the ground, according to the talk show host’s attorney, Daniel Horowitz. Savage’s beloved 12-year-old pooch also got shoved after getting caught in the middle of the scuffle. The disturbance at the Italian restaurant at a shopping center on Main Street has been confirmed by the Tiburon Police Department. When police officers arrived at the scene at around 8.25pm Tuesday, they found that Savage and his attacker had each placed the other under citizen’s arrest.